Copahue volcano is an active stratovolcano in central Chile at the border with Argentina.  The volcano has a 6.5 x 8.5 km wide caldera with several craters aligned on a 2 km ENE-WSW trending zone. The eastern summit crater has an acid 300 m wide crater lake known as El Agrio or Del Agrio which has intense hydrothermal activity. Infrequent mild-to-moderate explosive eruptions occurred in historic time. Eruptions in the last century have ejected pyroclastic rocks and chilled liquid sulfur fragments. The last one was in 2000.